“Hey! hey! New music from The Circle” writes the Red Rocker alongside a clip that sees him in the studio singing along with a song from the project. 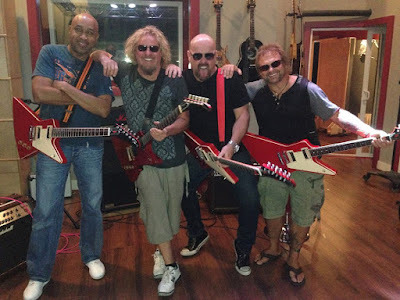 The band – which features Hagar, bassist Michael Anthony, drummer Jason Bonham and guitarist Vic Johnson – formed in 2014 to present the singer’s musical history and Bonham’s legacy by performing tunes by Hagar, Van Halen, Montrose and Led Zeppelin. The group issued their first live DVD, “At Your Service”, in 2015, which presented material filmed during the 2014 tour. No further details regarding a title or potential release for the studio album of original material have been revealed as of yet. The Circle have some live dates scheduled for early fall – including appearances at Hagar’s annual birthday bash series at his club in Cabo San Lucas, Mexico in October, where he’ll turn 71 this year. 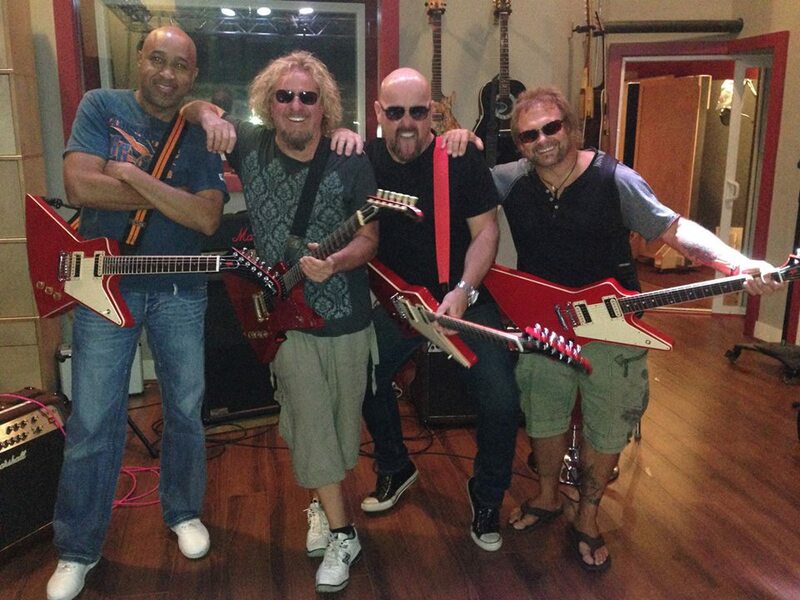 Also on the horizon for the band is a headline set at Hagar’s inaugural “High Tide Beach Party & Car Show”; the Saturday, October 6 event on the shores of Huntington Beach, CA will feature performances by REO Speedwagon and many others, and special guests including Joe Satriani, Vince Neil and more performing with The Circle at the music fest, alongside beach activities and a showcase of luxury, exotic, European, custom, classic, movie and hyper cars.